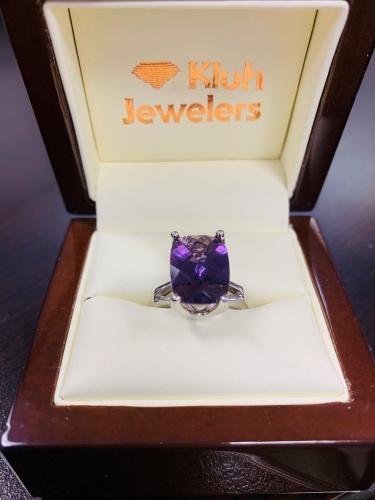 Genuine Amethyst Ring weighing 5 carats and hand set in solid Sterling Silver. It comes with a squared-off heavy European Shank. It is currently size 7. Our master jeweler will size it for you at no charge for a perfect fit!